Unsupervised machine learning technology is bringing about a new age of cyber defense. Traditional defenses are known to secure against threats that are known, but can’t stop previously unseen ones. Once past perimeter defenses, these emerging threats usually remain active inside the network for extended periods of time and are near-impossible to detect. 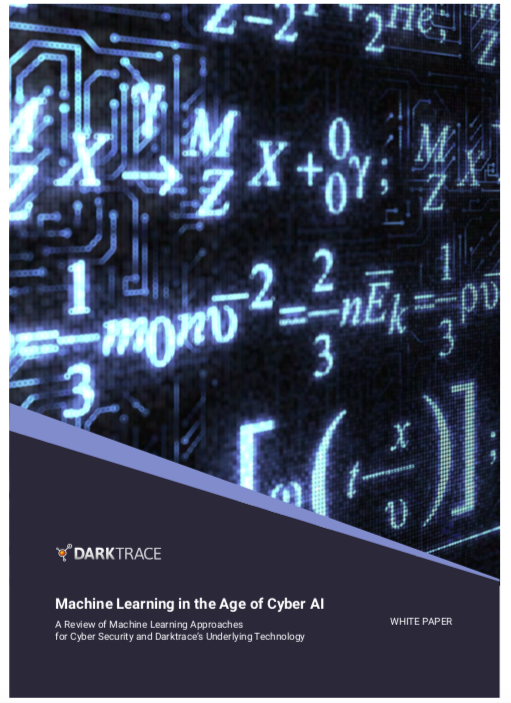 Unsupervised machine learning technology is now empowering companies to neutralize never-before-seen threats in real time.CyVent is a Certified Partner of Darktrace, a global leader in machine learning applied to cybersecurity, whose technology can detect and autonomously respond to cyber threats that legacy systems miss. Their “‘Enterprise Immune System” technology has been deployed at thousands of organizations worldwide and leverages unsupervised learning to fight back against cyber threats as they unfold in real time. This white paper provides insight on why legacy systems are leaving companies exposed and outlines a unique approach to security, which combines unsupervised learning and deep learning for some of the strongest defenses.Though machine learning in cybersecurity is not uncommon, most solutions rely on a supervised approach that requires knowledge of past attacks. Darktrace’s unsupervised machine learning identifies trends in data, without human input, to stay up to date and detect even the most innovative attackers.From ransomware to data breaches to attacks against the IoT and cloud, Darktrace spots anomalies and prevents attacks from spreading before they turn into a devastating security breach.